China will play against India in a warm up game to prepare for the Asian Cup. The game will take place in Beijing in October, with the Indian football association proposing the match date should be on Saturday, October 13, 2018. However the official match day has not been set yet. This is the first time the two senior national teams have played one another for 21 years, with the last game taking place in the Nehru Cup in Kochi in 1997. The Indian U16 side did play in an invitational tournament in China though, where they took part against China, North Korea and Thailand. China are one of the biggest improving nations in East Asia which should come as no surprise to anyone considering the amount of money which is being thrown at it. The Chinese Super League continues to get stronger year upon year and the Chinese Football Association are trying new and interesting ideas to encourage and support youth development. 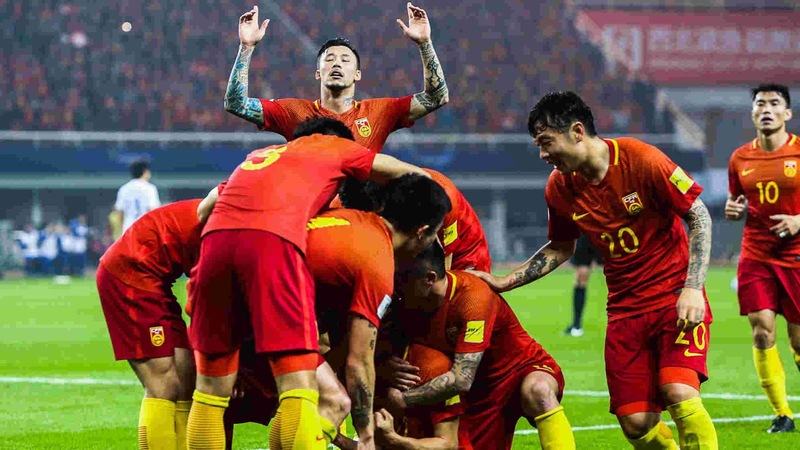 For these reasons China are kind of expected to be something of a dark horse at the Asian Cup, they certainly have the potential to go far, while at the same time have the potential to be completely embarrassed. China were drawn into group C of the Asian Cup alongside South Korea, Kyrgyzstan and The Philippines, they should get out of this group due to being superior to Kyrgyzstan and The Philippines but it will be interesting to see how they get on against South Korea. The game against South Korea could be the first pointer to how well football development is progressing in China, if China top the group it would be a surprise but it is not entirely impossible even though South Korea will be clear favourites. The order of the matches have been kind to both China and South Korea with them facing each other in the final game of the group stage. First China will play against Kyrgyzstan at 15:00 on January 7th in the Sheikh Khalifa International Stadium, based in Al Ain. Their second match will be against the Philippines and will take place in the Mohammed bin Zayed Stadium, based in Abu Dhabi on January 11th and their final match, which will be the big one against South Korea will take place in the Al Nahyan Stadium, based in Abu Dhabi on the 16th January. We think China will be expecting to do well in the finals, the tournament starts on the 5th January and runs until the 1st February.